Macy's offers the Style & Co. Women's Nixine Slip-On Flats in several colors (Olive Canvas pictured) for $23.93. Opt for in-store pickup to avoid the $9.95 shipping charge. That's $26 off and the best price we could find. They're available in sizes from 5 to 11. Ending today, Kohl's offers the Croft & Barrow Men's Combs Fisherman Sandals in several colors (Olive pictured) for $29.99. Coupon code "YOUGET20" cuts the price to $23.99. Opt for in-store pickup to dodge the $8.95 shipping fee. That's $36 off list and the lowest price we could find. They're available in medium width in sizes 7 to 13. However, Independence Day has come and gone, and like every year, back to school sales and displays are starting to appear in storefront windows just as quickly as those red, white, and blue pyrotechnics in the sky disappear. For many, mid-July serves as a reminder that summer is half over. But it's also an indication that big savings on apparel, furniture, and more, are right around the corner. Retailers are flashing those back to school reminders, but that doesn't mean you have to rush out and buy your supplies immediately. 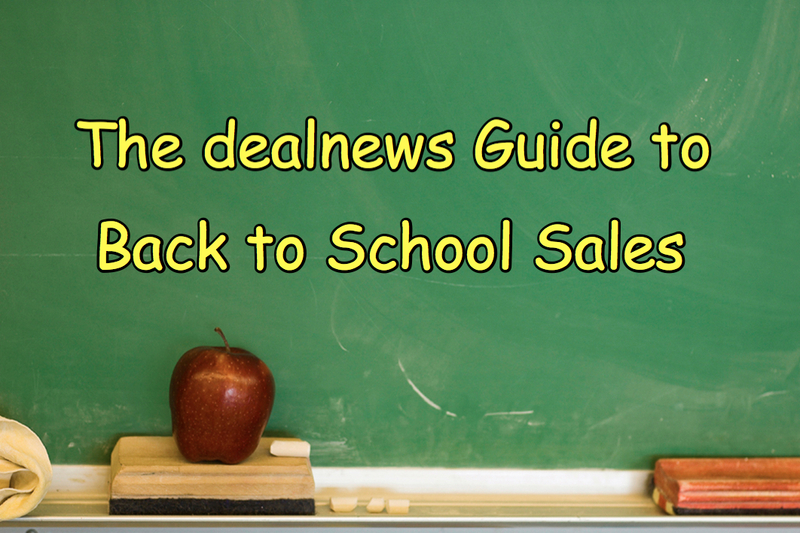 We analyzed our dealnews data from mid- to late-summer last year to see what kind of deals you can expect to find on select campus essentials in the coming weeks, as well as when you should buy them. While we've already devoted a guide to specifically laptops, here's the low-down on apparel, furniture, backpacks, and laptop cases. Your dorm room (or apartment) is but a small, empty canvas — and your wallet may be but a small, almost-empty flap of faux-leather. You're not expecting to replicate a room at the Ritz Carlton, but you and your roommates want to return to a place wherein you can comfortably unwind after a long day of classes. It's possible to do this on a budget if you shop savvy. Last summer, we saw price drops on select dorm-friendly furniture as early as June. For example, at the end of June last year, the Your Zone Mini Futon ($149 with free shipping) from Walmart dipped to an all-time price low of $99 with free shipping, earning itself an Editors' Choice marking. And this base price held steady until after Labor Day, when a $20 shipping fee was added. The window for this deal last year wasn't incredibly narrow, which allowed consumers to take advantage of it as they saw fit. It even suited those who were last-minute back-to-school shoppers. As for deals on other dorm-friendly essentials, last summer we saw the price of bean bag chairs as low as $19; small computer desks dropped to $34; and futons sank to an incredibly low $89. This summer, we've once again seen the $19 price point for a Big Joe Video Bean Bag Chair (albeit with free Ship-to-Store pickup via Walmart). If last year is any indication, however, take a deep breath and resume your watching of daytime TV; these prices are likely to hold steady — or even drop — come August. 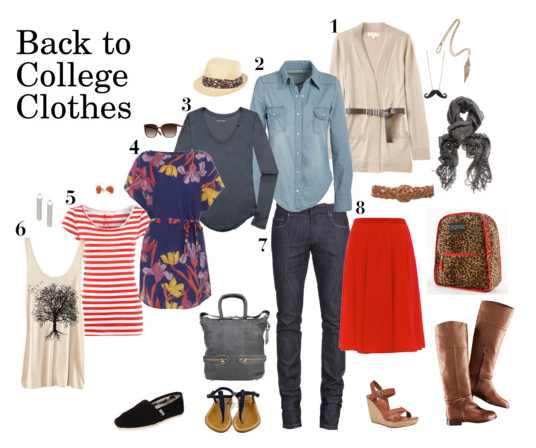 When you set foot on campus this fall, you don't want to look like a "Good Ol' Fashion Nightmare". (Our apologies to Matt & Kim!) 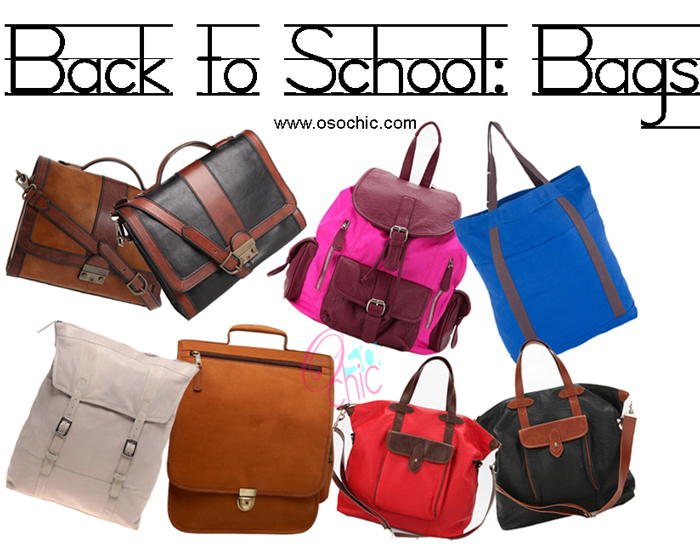 The new school year is like a clean slate, and in some respects, that philosophy should be applied to your back-to-school wardrobe, too. Start the year off with a whole new style (or "slightly modified," if that's more your speed). The good news is that you can get fashionable without going broke by taking advantage of best-of-the-year clothing sales, provided you show a little bit of patience. Last year, August was a busy month for apparel retailers that catered to the college-age demographic, as several boasted sales that were at or near the best we'd seen at the time. One such store was Aeropostale, which featured an Editors' Choice-level sale that took 50% to 75% off everything sitewide in mid-August. (It was followed up by a flat 50% off sale the following week — still a decent discount.) We also saw Editors' Choice-level sales from Converse, that cut an extra 20% off items that were already marked as much as 74% off and combined it with free shipping, and Dickies took 75% off the list price of clearance merchandise with free shipping on all items. Of course, not every single sale we spotted last August was a mind-blowing, best-of-year special. (For instance, PacSun offered several solid discounts late summer, but we had posted stronger sales several weeks prior.) Still, if you need an activity to occupy your time during the dog days of summer, revamping your on-campus wardrobe is one idea to consider. Unless you attend a super-progressive institution that condenses a semester's worth of textbooks and coursework onto an iPad, chances are you'll need a sturdy backpack to make your haul more bearable. Likewise, if you're one to keep your entire life digitized, you'll require a quality laptop case or bag to protect your system. You can acquire the case you so desire at a price that's fitting. We saw prices on several name-brand backpacks fall significantly last August. A schoolbag from The North Face dropped to $28 shipped courtesy of REI; that's a solid price for a renowned brand. Meanwhile, a Sharper Image convertible rolling backpack went for $36 via BrylaneHome — a price low of $114 at the time! We also saw Eastsport bags from Walmart for just $8, while Staples discounted its selection of schoolbags — including Jansport, SwissGear, and other brands — by 50% off. Before you panic about back to school shopping, realize that any sales you may see right now won't be the only, or likely even the best, you'll see this year. In general, August either featured a continuation of July discounts, or brought even deeper cuts. So if you'd really like to schedule a few shopping dates before move-in day, it's fine to do so a few weeks from now. Of course, if a rare best-of-year sale should appear out of the blue, you can be alerted of it immediately when you sign up for a dealnews email alert. Head over to http://urbansurfer.co.uk/58-mens-backpacks for the most stylish and practical bagpacks for the new term!